We've started a new Valentine Tradition! 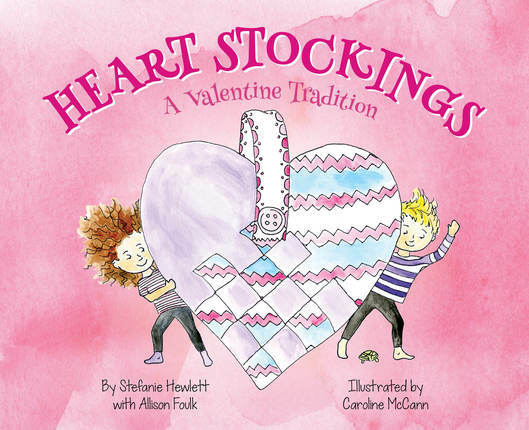 We have been having fun with a new book called Heart Stockings by Stefanie Hewlett and Allison Foulk, published by Deseret Book. It's a cute little story book about a brother and sister who are sad about putting the Christmas decorations away and having to wait a whole year for all of those fun traditions! After glancing at the stockings being packed away, one of them comes up with a great idea to make "Heart Stockings"! They do "S.A.S." 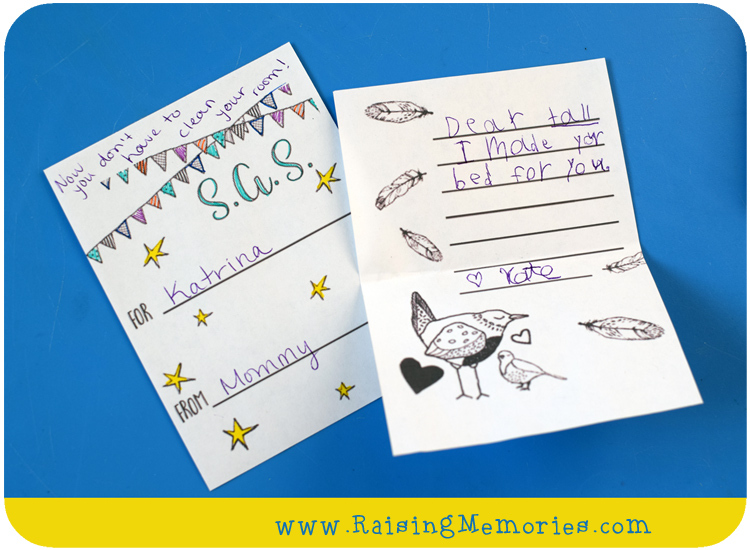 (Secret Acts of Service) for each other in the days leading up to Valentine's Day and leave little notes for each other in their Heart Stockings. When Valentine's Day comes, they open their stockings and read the kind notes of love for each other, and little notes that reveal what little Secret Acts of Service were done for them, and by whom. We had the chance to read the book while we were on vacation and when Katrina heard that we had our very own heart stockings waiting for us at home, she was practically bouncing up and down! She is so excited about this new tradition! 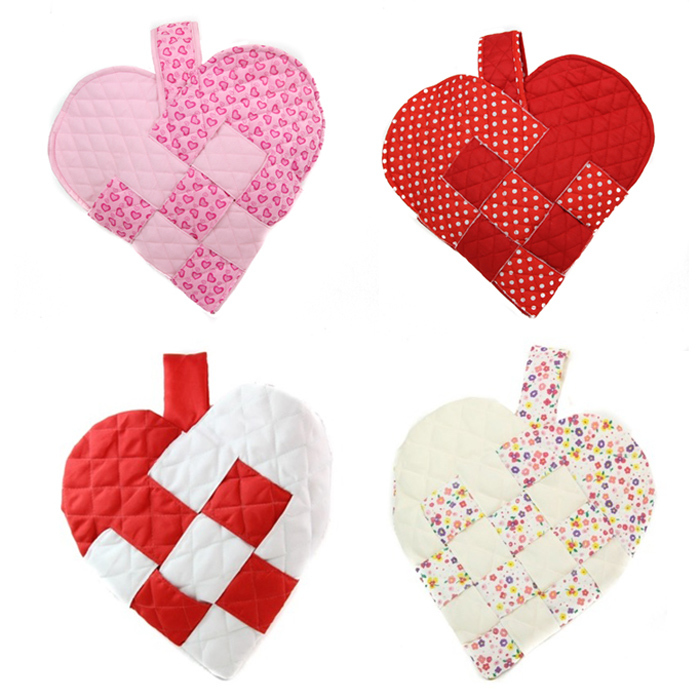 There are 4 designs available to buy your own Heart Stockings (shown above). At our house, Pink Hearts is Katrina's stocking, Red Polka-Dot is Talia's, Red and Cream is Ken's, and Cream Floral is mine. We've been using these cute downloadable printables to write notes on and put them in the stockings. There are several cute styles available for free to download and print. You can also find some inexpensive downloadable printables on the Heart Stockings website. 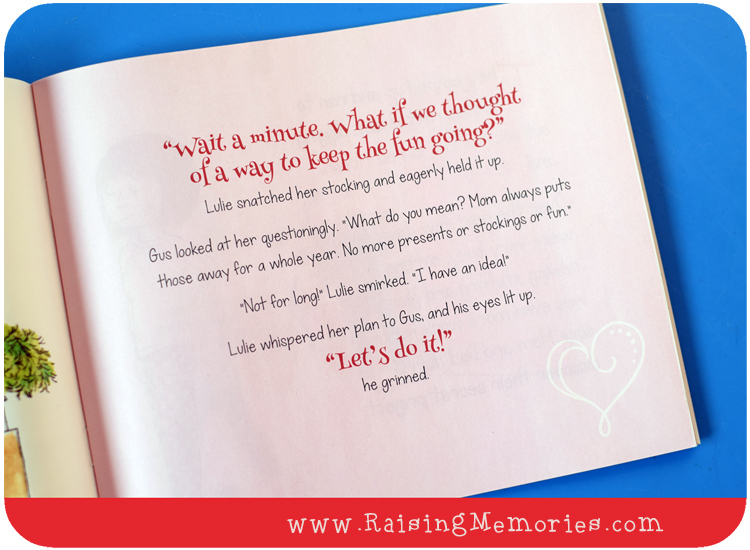 This is such a fun tradition that we are sure to keep coming back to year after year! 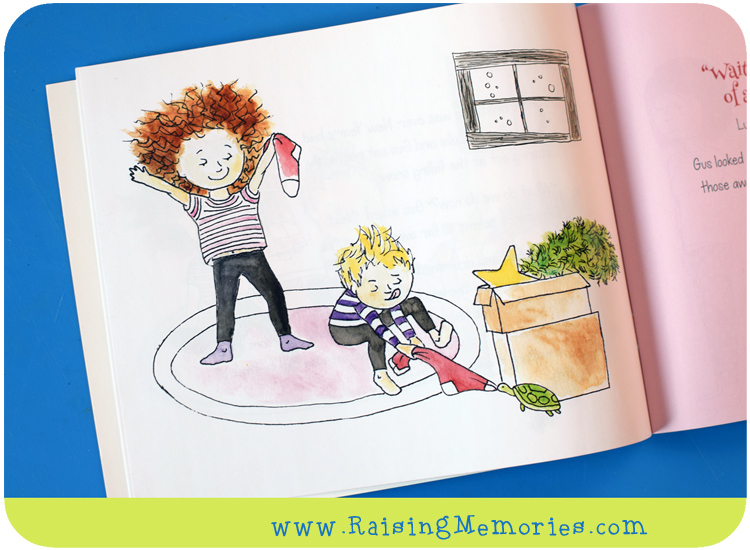 Win a Book & 4 Stockings! 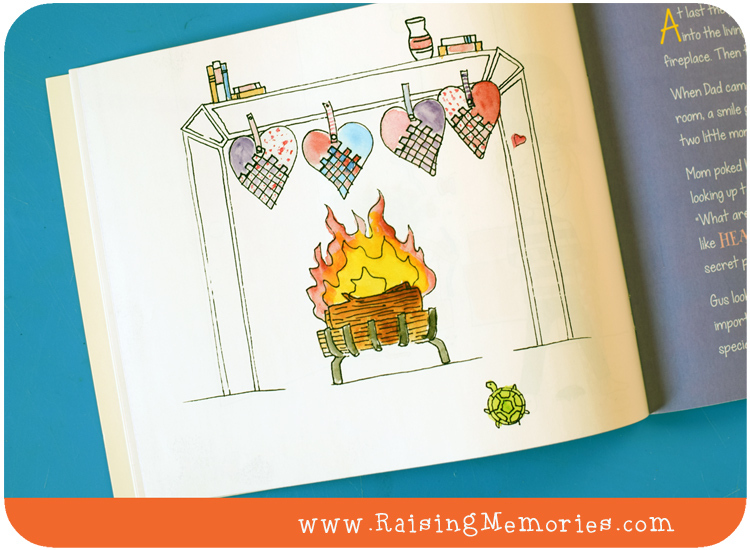 Now here's the really fun part- you can win your own copy of the book and 4 Heart Stockings to go with it, for your family! Just fill out the form below for your chance to win! Disclosure: A copy of this book and 4 Heart Stockings were provided for review & giveaway purposes; all opinions shared are, as always, my own. My favorite is its a day for just hubby and i,just the whole day.Since the kids are grown and left the nest its all about us and i love it. That's so nice! :) It is definitely harder to carve out alone time when kids are home. I love making homemade valentine cards and heart cookies with my kids. haha :) Well, you definitely can't go wrong with chocolate, if you ask me! Chocolate! For many years, hubby has hidden little chocolate hearts around the house for me and now for me and the kids to find. My favourite part of VDay is receiving homemade cards from my four kids! I love baking and making homemade valentines to give to teacher, friends and family. My favorite Valentine's tradition used to be celebrating by making cards and cooking up a Valentine meal for my hubby and the children. Now it is sending my grandkids a little something to let them know they really have a sweet spot in my heart. I will be spending some time with hubby this year, and I think we will (just the two of us) go out for supper and just spend some time together. Happy Valentine's Day to you and your family. What a cute tradition! We give toys on Valentine's Day so my boys have something fun to pay with in the cold days of February. I write special notes to my family for the 14 days leading up to Valentine's Day. I sometimes add a treat. This craft is so cite! I love that they are made out of cloth so that they are more durable than paper.I want to put these together with my kids. Love doing crafts with my girl, and some baking! Our Valentine's tradition is that I leave a small treat and a heart shaped note on the kitchen table for my husband and for each of our kids. I love helping the kids with their valentine cards and date night with my husband. My favorite valentine tradition is going out for supper to celebrate. I thrive for traditions!! At Christmas I have so many it makes some people crazy!! This one is awesome! Most times, Valentine's day get neglected!! I can't wait to add this one! Is there a pattern? These are darling! I would love to make them for my children.